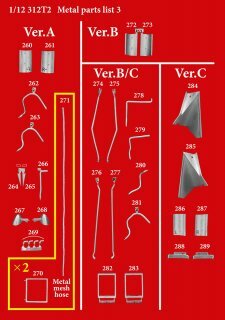 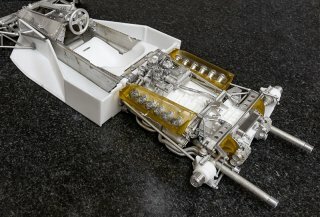 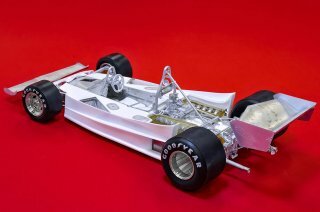 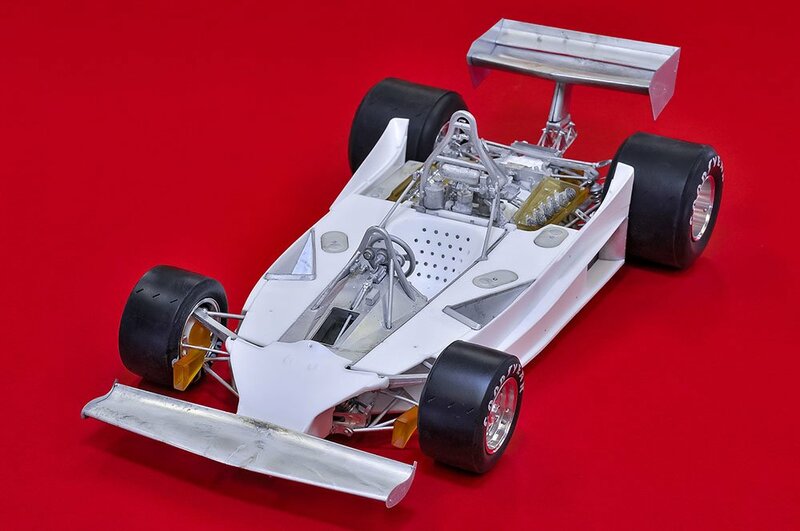 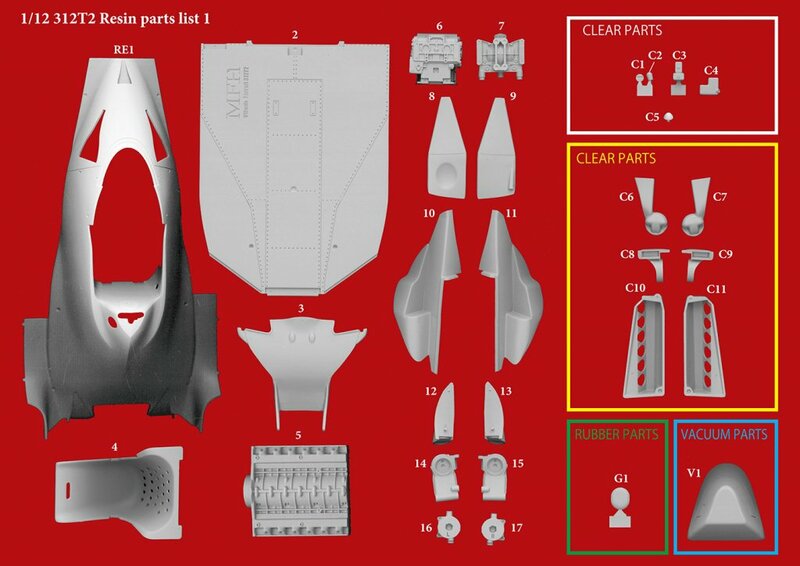 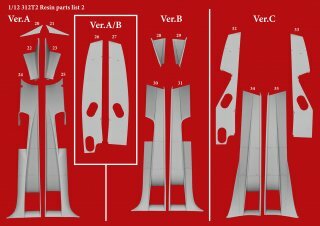 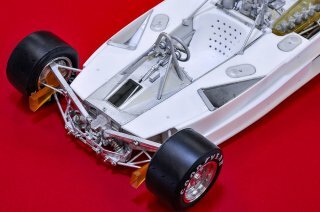 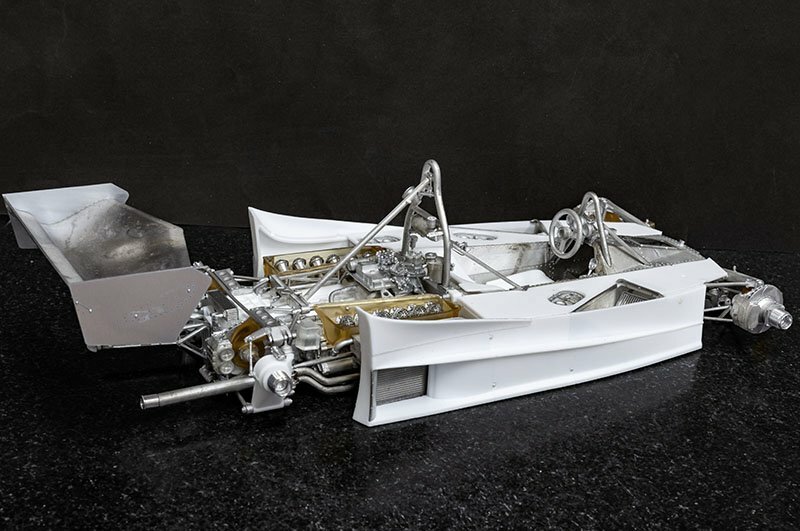 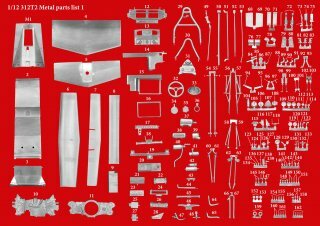 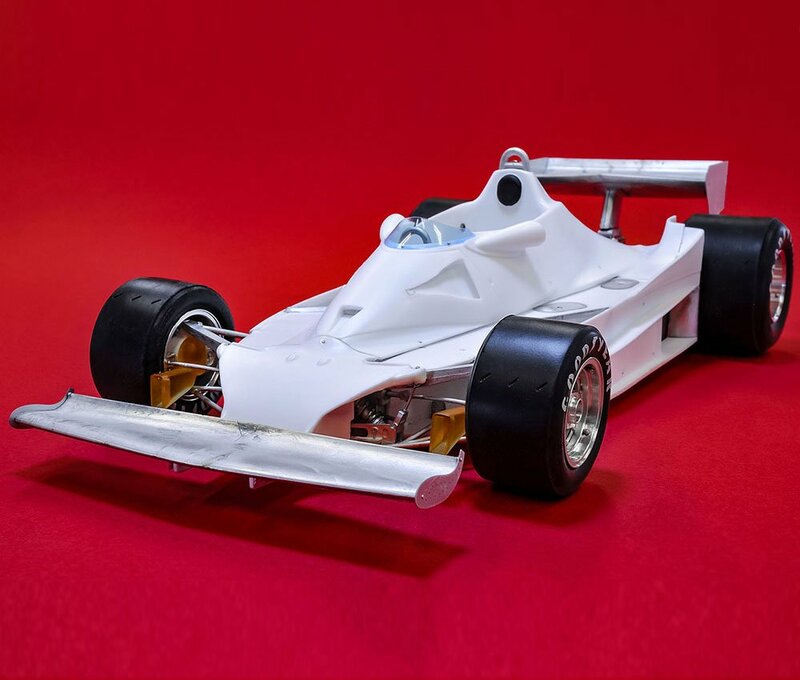 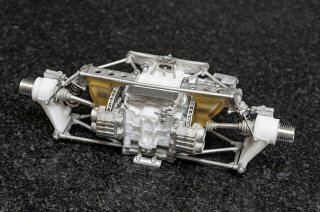 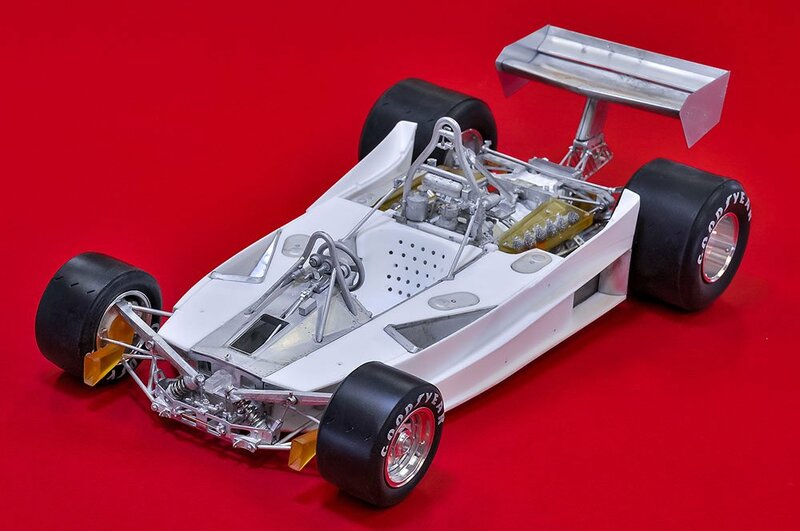 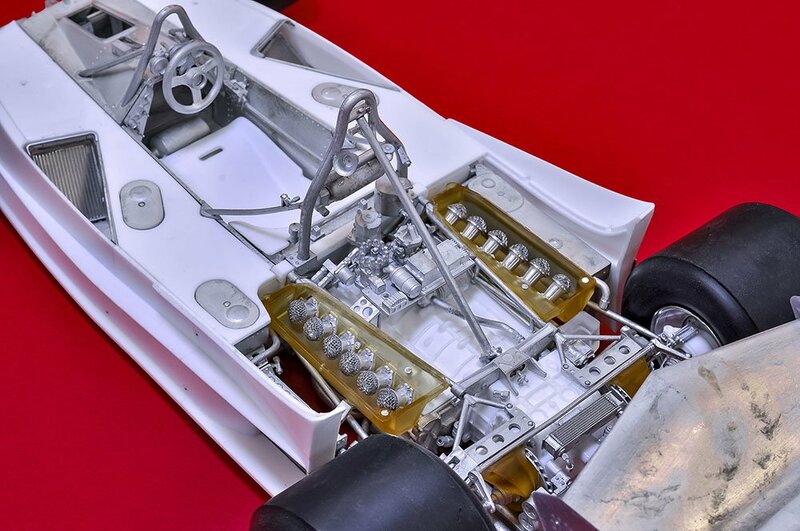 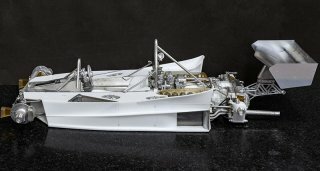 MFH 1/12 model car kit K685 Ferrari 312T2 (1977) Version A: New release (11-2018) from the Japanese company MODEL FACTORY HIRO. 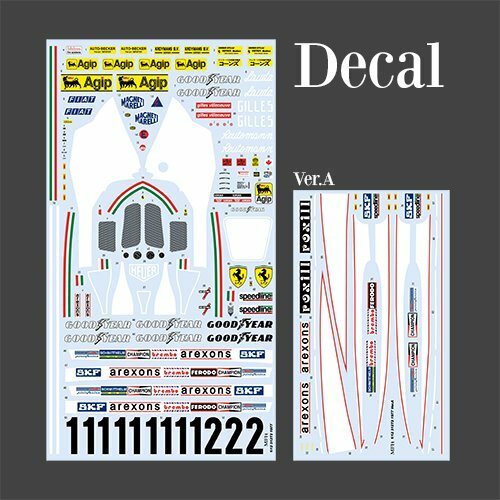 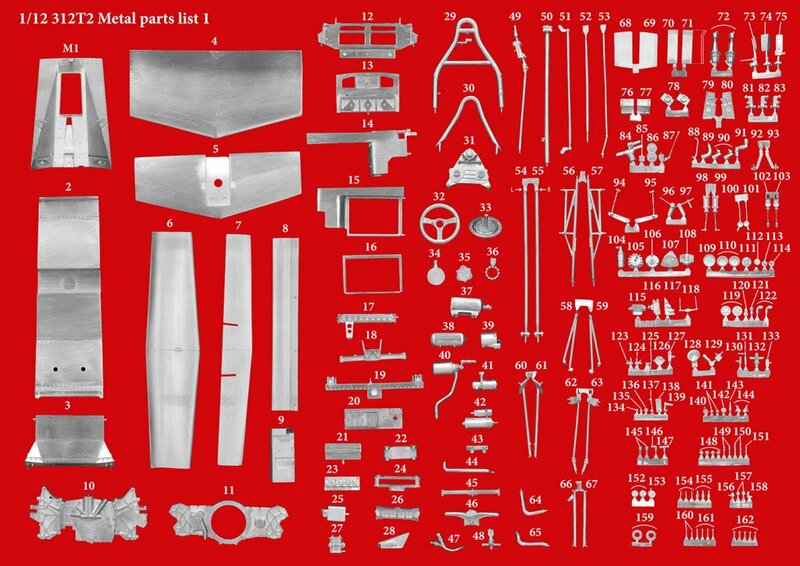 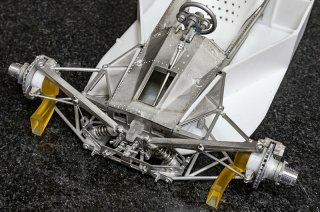 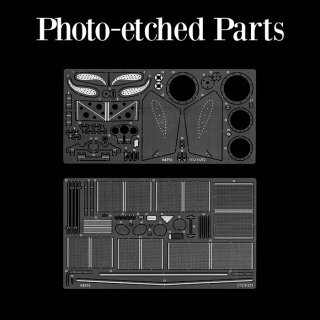 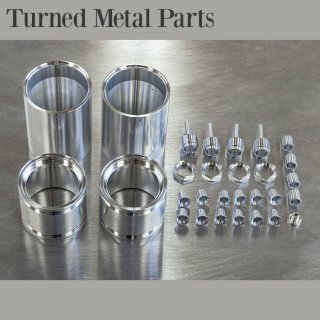 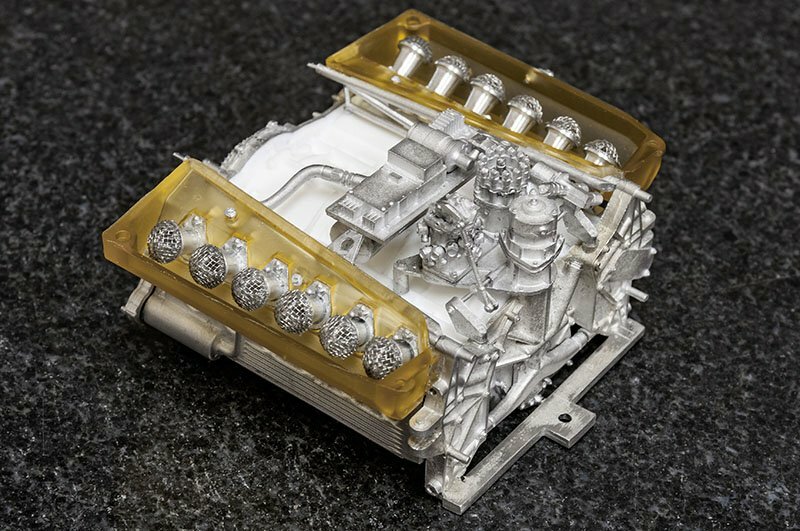 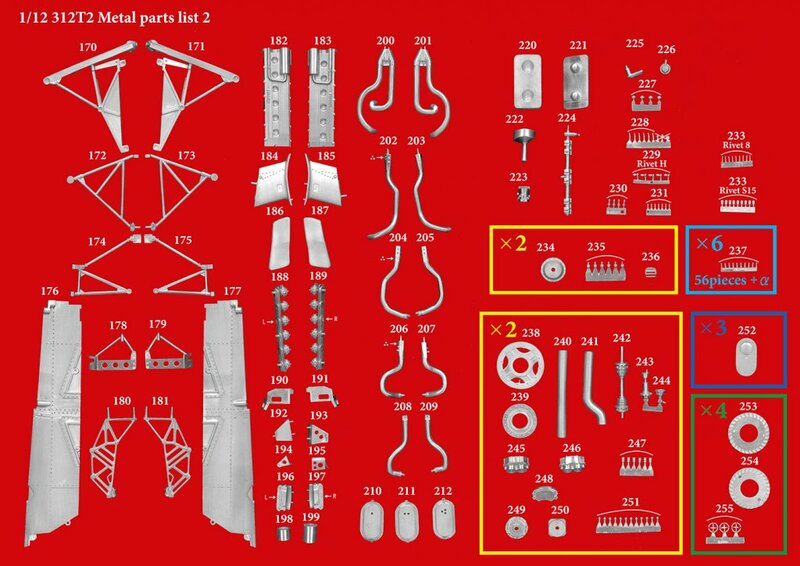 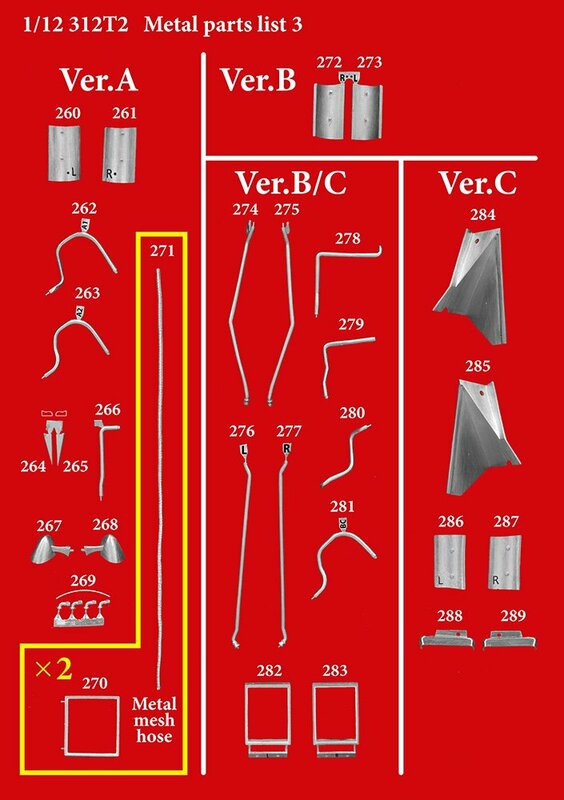 Multimedia kit with superior quality: perfectly produced white metal parts, photo etched parts, Decals, turned and milled parts, cast resin castings and many other components. 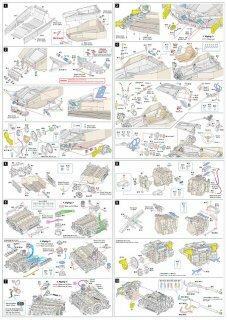 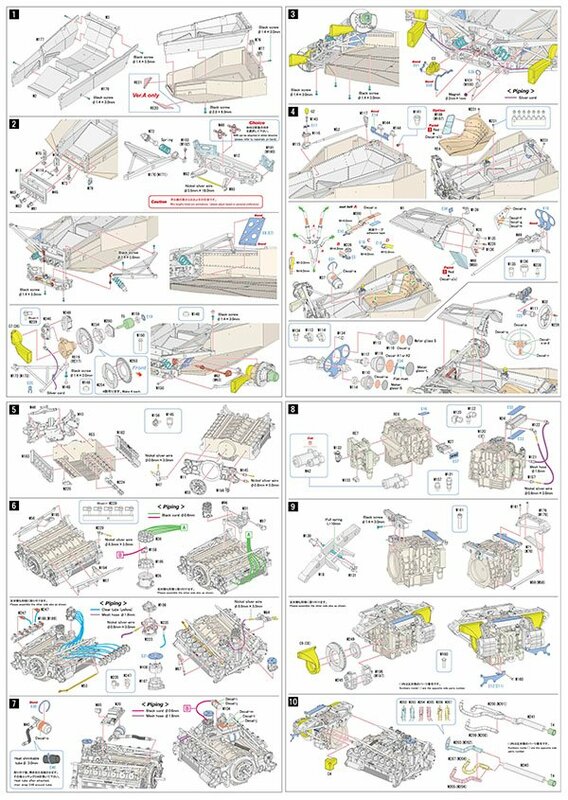 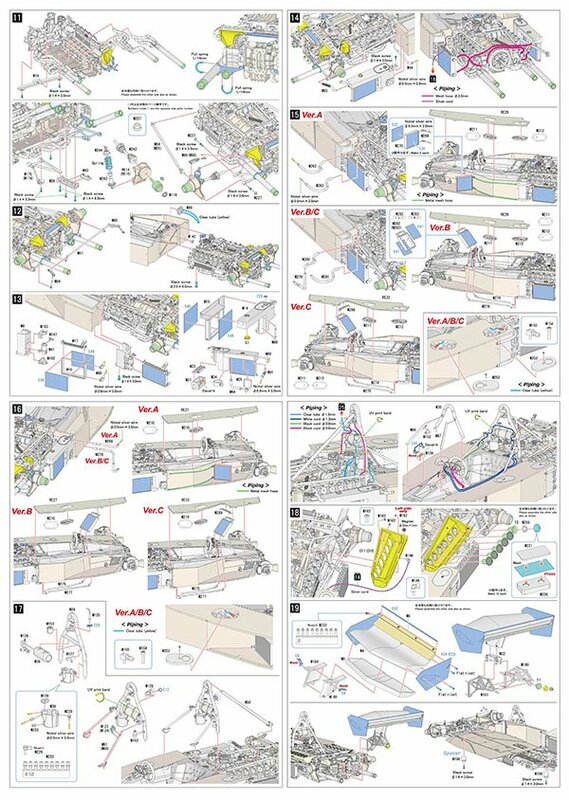 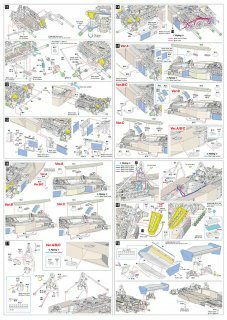 Detailed engine, graphical instructions in English / Japanese. 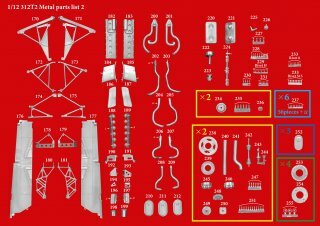 Kit complete "Made in Japan" - no China-product! 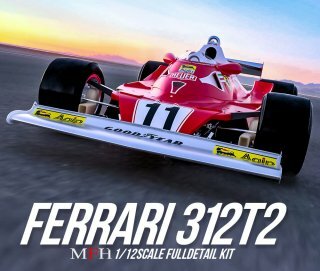 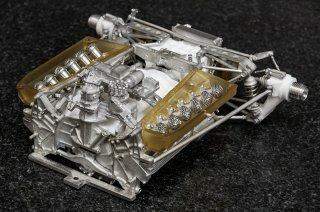 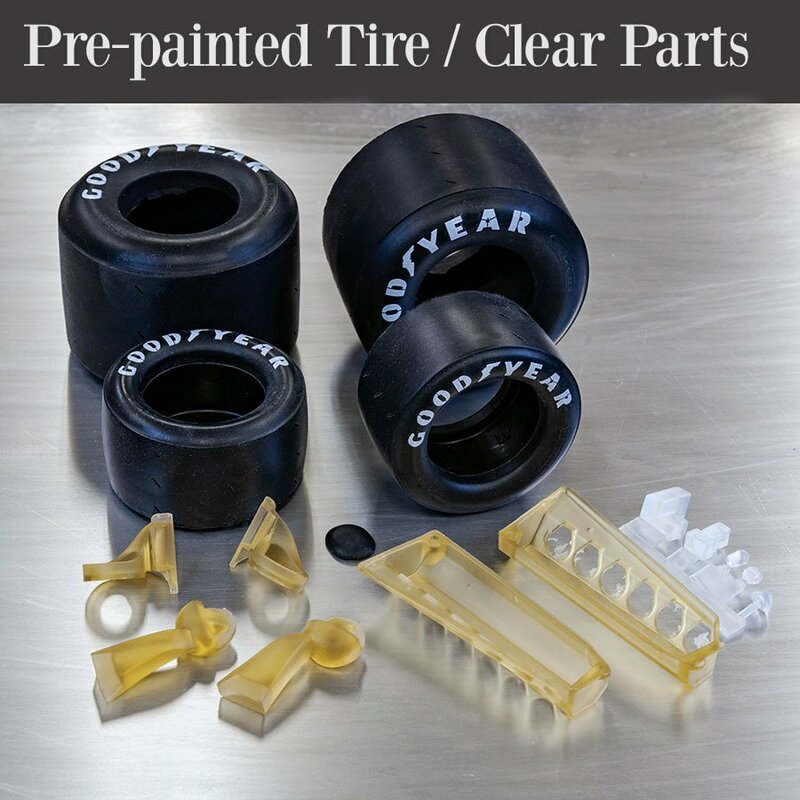 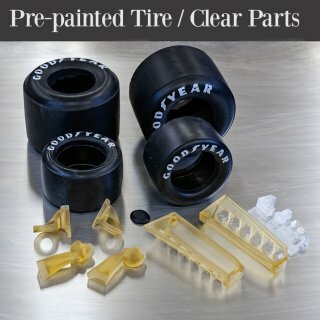 The 312T was designed to replace the 312B ? 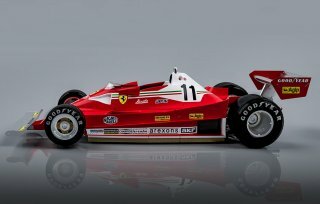 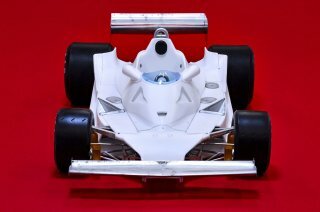 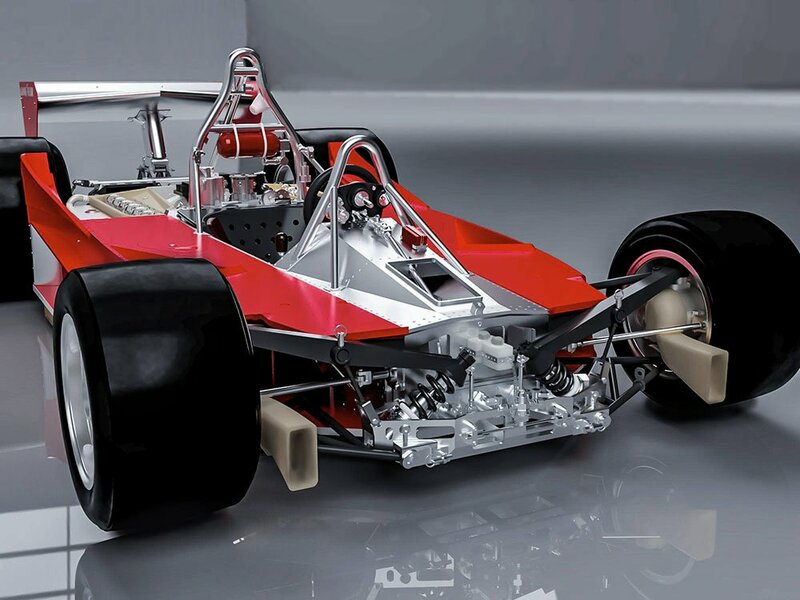 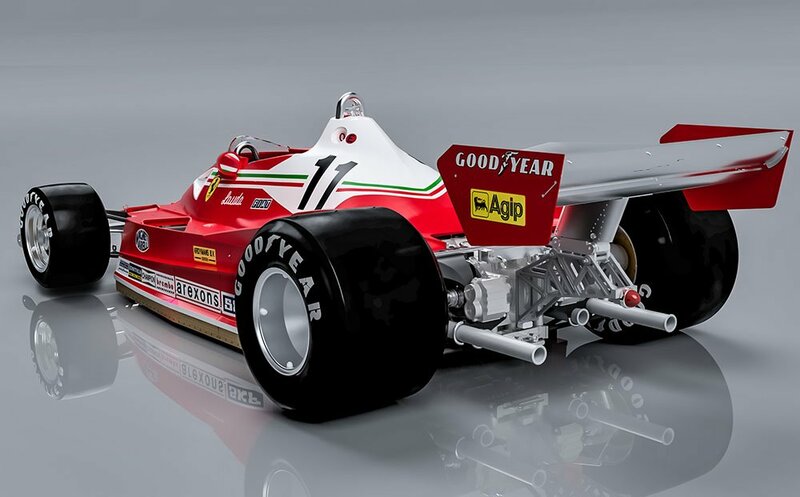 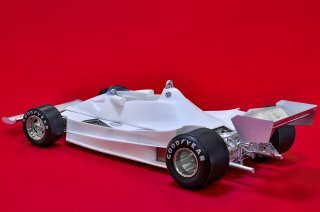 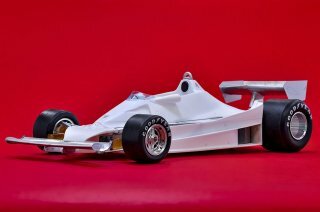 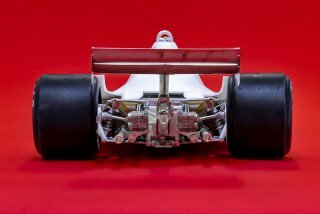 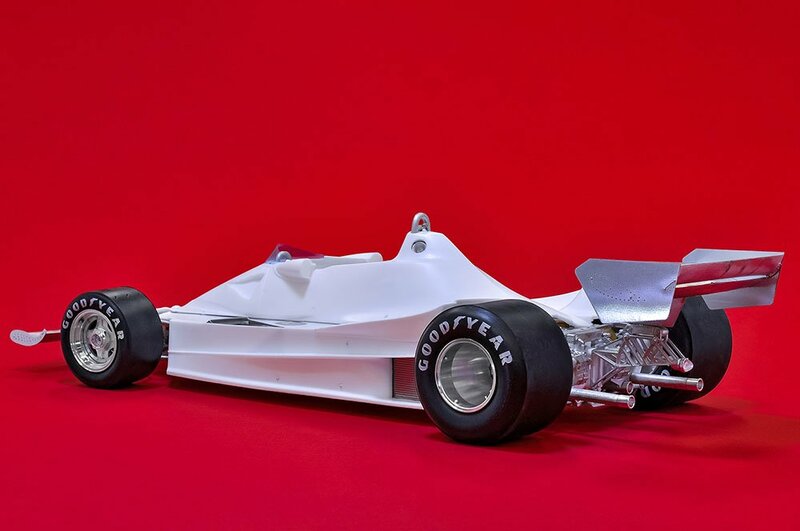 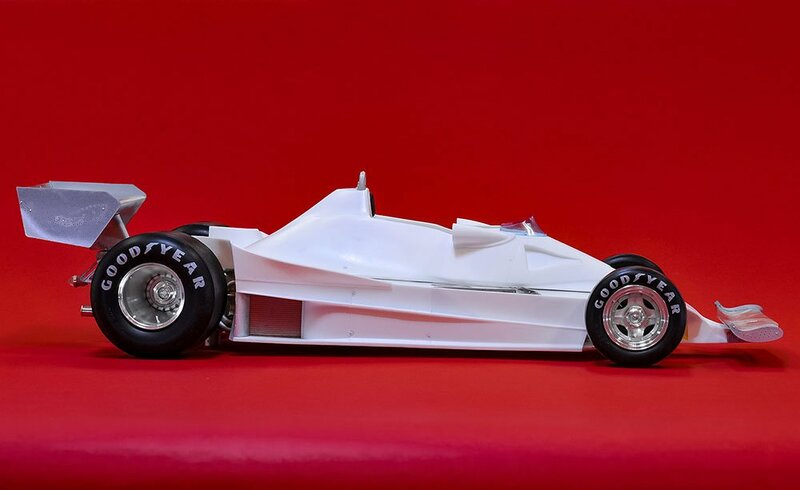 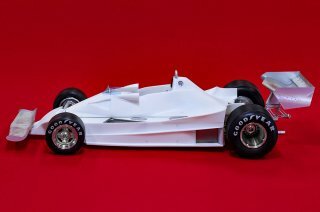 Ferraris representative F1 car between the years of 1970 till 1975. 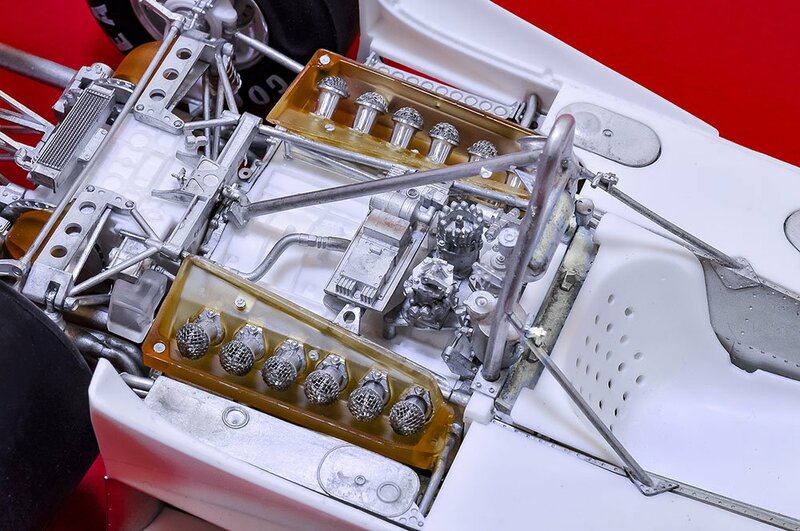 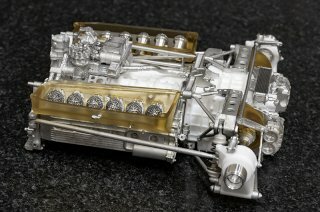 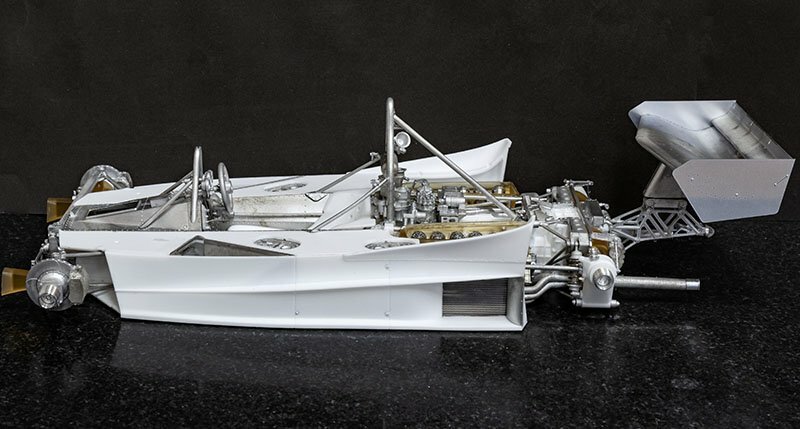 The 312T kept the same flat 12 cylinder engine as the 312B, but featured a transverse gearbox and aluminum monocoque. While it took the championship title in 1975, modifications to the car was required in the following season due to regulation changes. 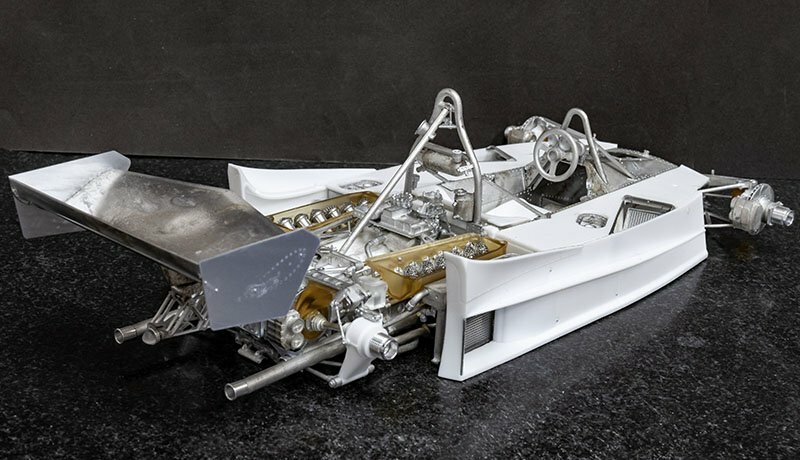 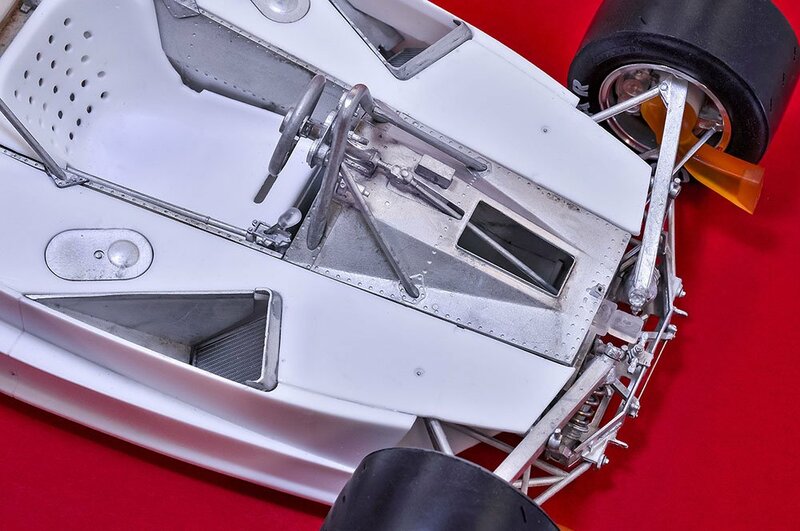 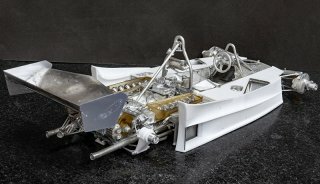 In order to comply with new regulations and improve aerodynamics of the car, the induction pods were scrapped in favour of large NACA ducts at the front, giving birth to the 312T2. 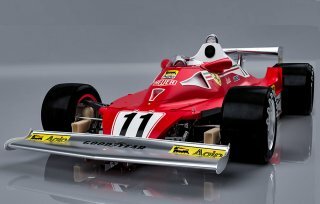 While driver N. Lauda suffered a near fatal accident in the German GP and retired from the Japanese GP on his own accord, the car ended up winning the constructor?s title in 1976. Lauda himself, however, ended up giving away the drivers championship to J. Hunt for that season. In 1977, alterations and improvements were made to the 312T2, giving form to a newer build of the 312T2 compared to the 1976 season. The side cowls were modified extensively during the season, and N.Lauda managed three victories to claim both drivers and constructors championship for the 312T2 ?77. N. Lauda quit the team once both titles were secured, and was replaced by G. Villeneuve for the last two races of the season. based on the build that raced in Rd. 3 South African GP in 1977, where the 312T2 under the 1977 specifications first debuted. 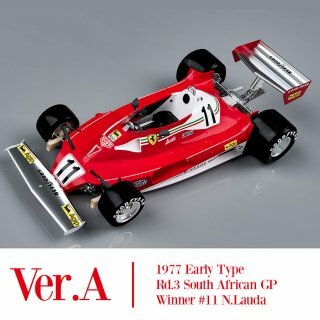 N. Lauda finished 1st in this race. 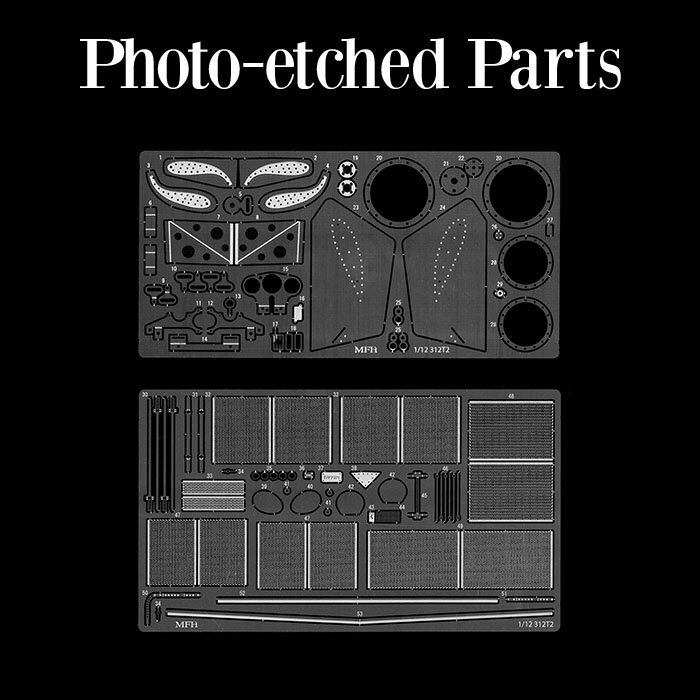 The version used in Rd. 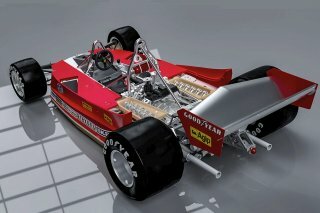 4 U.S.West GP where Lauda took 2nd place can also be built from this version. 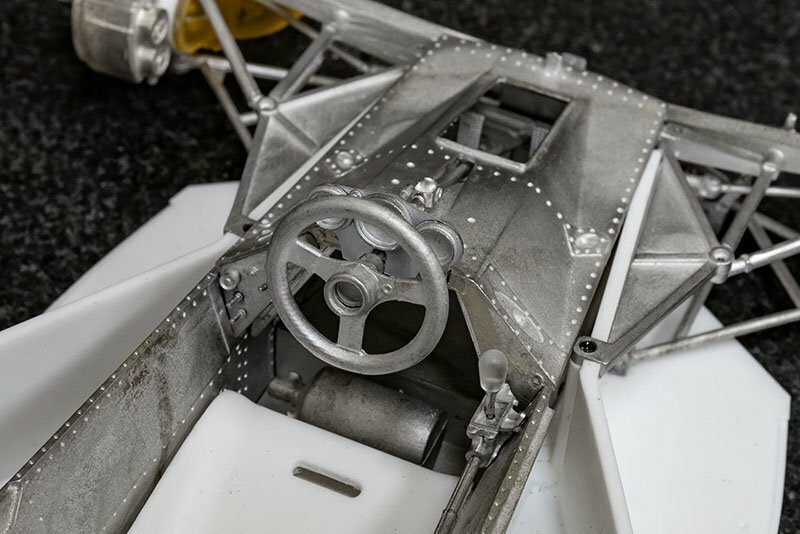 Features a different side cowl and mirror compared to middle and late builds of the car. 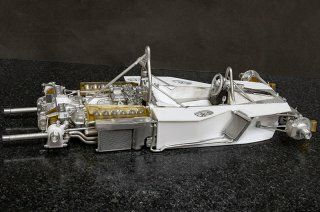 based on the build that raced in Rd. 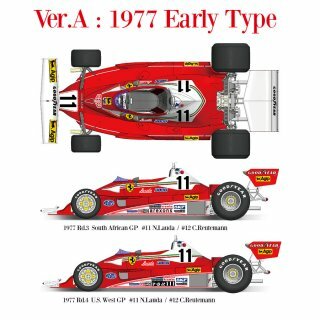 11 German GP where N.Lauda scored his second victory of the season. 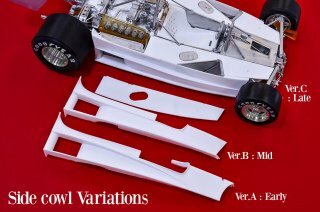 Features a different side cowl compared to early/late builds of the car. based on the build that raced in Rd. 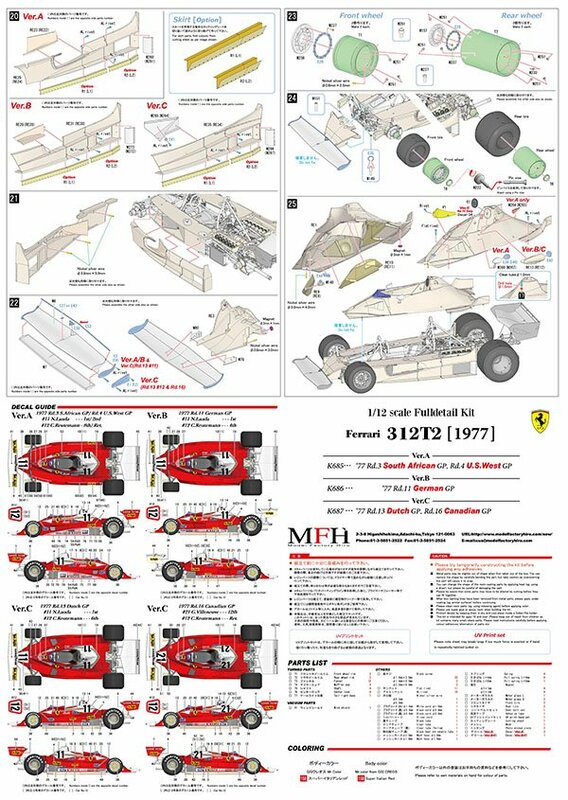 13 Dutch GP where N. Lauda grasped victory, and the build used in Rd. 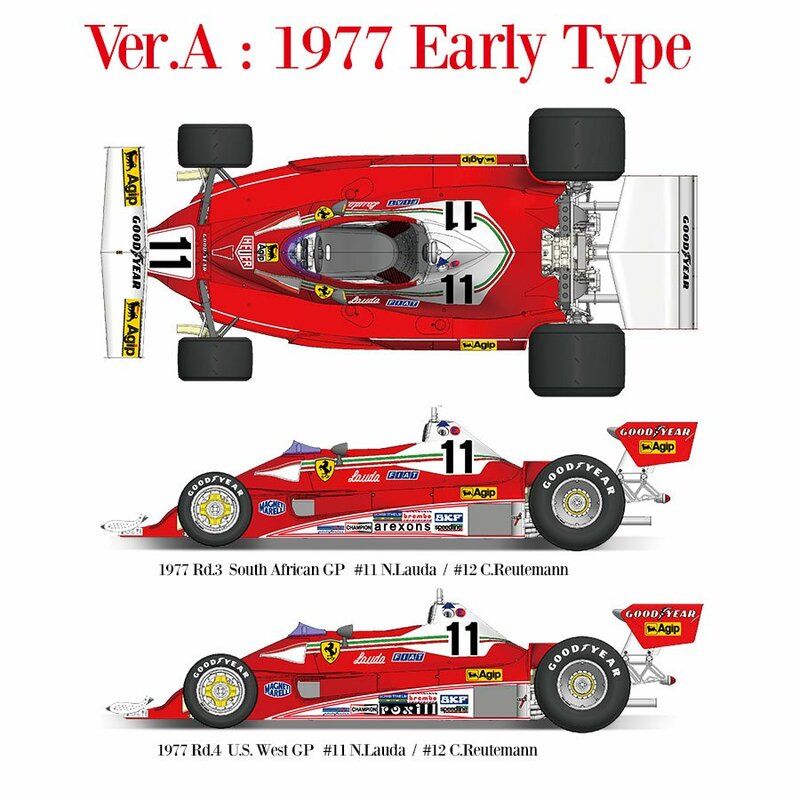 16 Canadian GP where G. Villeneuve made his Ferrari debut after Lauda?s retirement from the team. 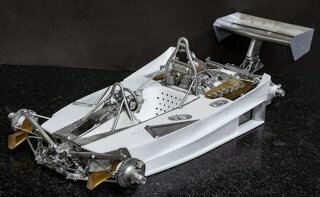 Features side cowls with an opening at the top that was unique to the design of the car?s late build.